A terrific farm dog, Wonder is a huge help on her dairy and has protected her owner from a charging bull. 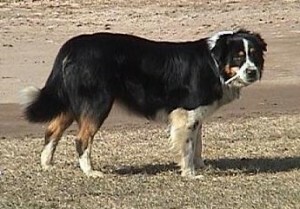 A very gentle herding dog that loves the baby calves, she will apply as much force as necessary and sometimes grips on the nose. Wonder is friendly with strangers.